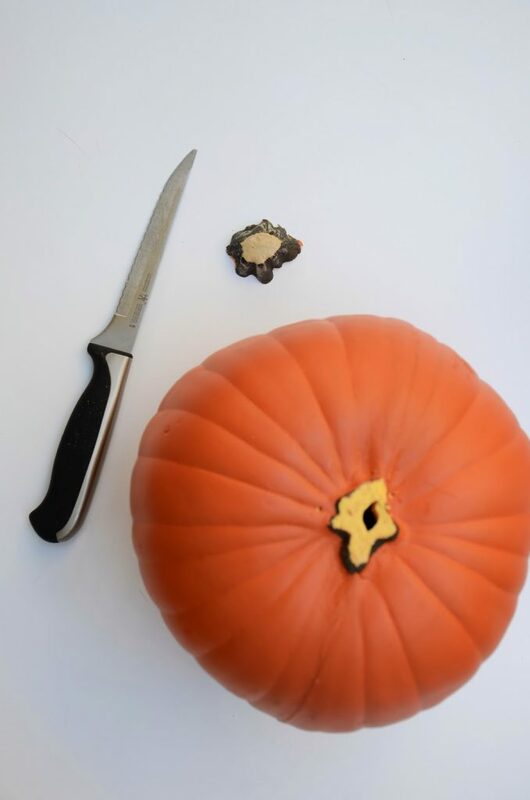 With Halloween only a few weeks away, it’s time to pull out all the Halloween projects! 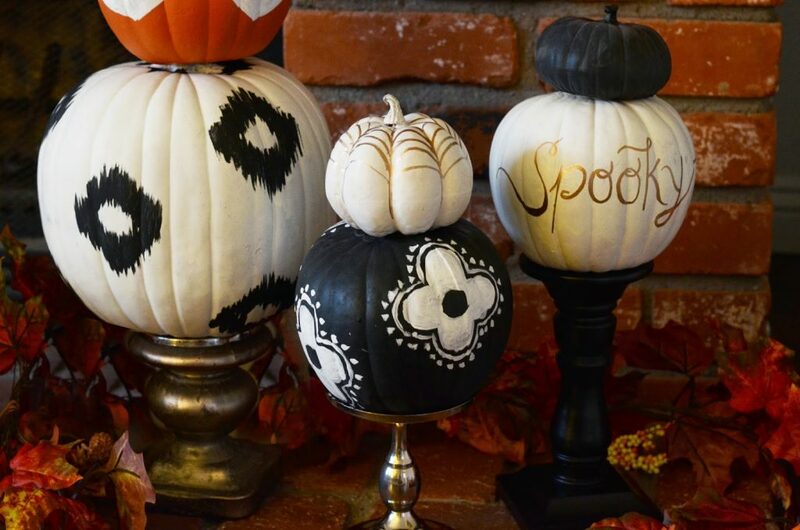 Next week I’ll be sharing a bunch of DIY Halloween costume projects, but for DIY Friday today I wanted to share a fun and easy Halloween craft: Painted Pumpkins on Pedestals! 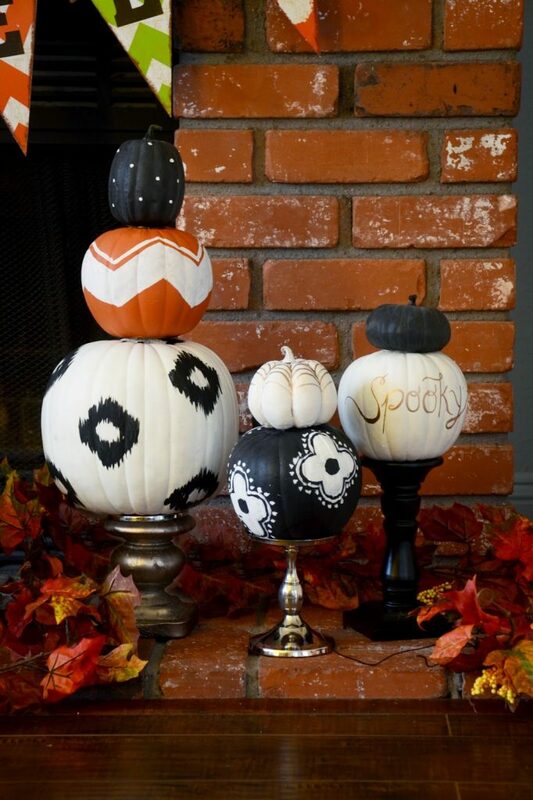 I’ve seen a million painted pumpkins out there in so many varieties, but stacking them and putting them on pedestals makes for a fun and unique look. Try different sizes and heights of pumpkins and pedestals so you can put them all around your house — short and wide ones as a centerpiece on your table, big and tall ones on your hearth, little tiny ones for your mantle…the possibilities are endless! Share your Halloween projects on social media using hashtag #DIY4Halloween, or find more inspiration on Jo-Ann’s project sharing hub! Click through to see the full and easy tutorial! Step 2. 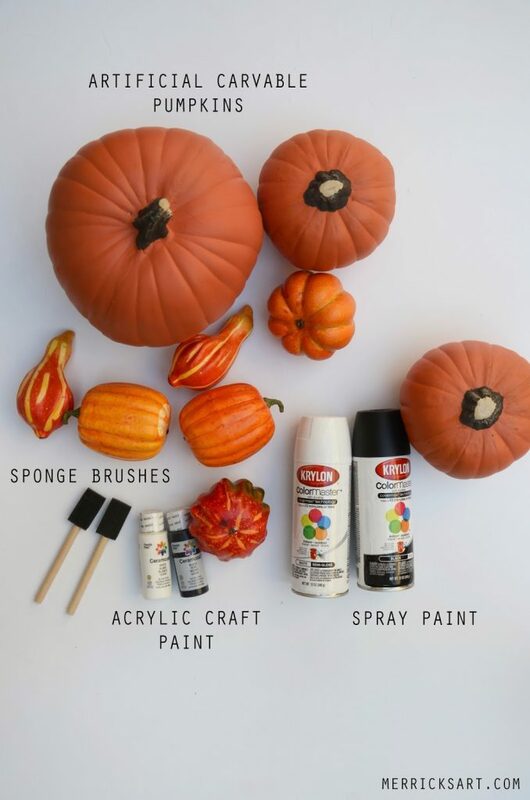 Spray paint some of the pumpkins black or white. Once they’re dry, hand paint or tape them off with painters tape and then paint in the lines. 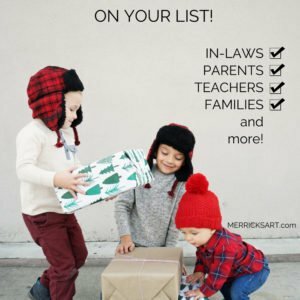 Have fun and get creative! Step 3. 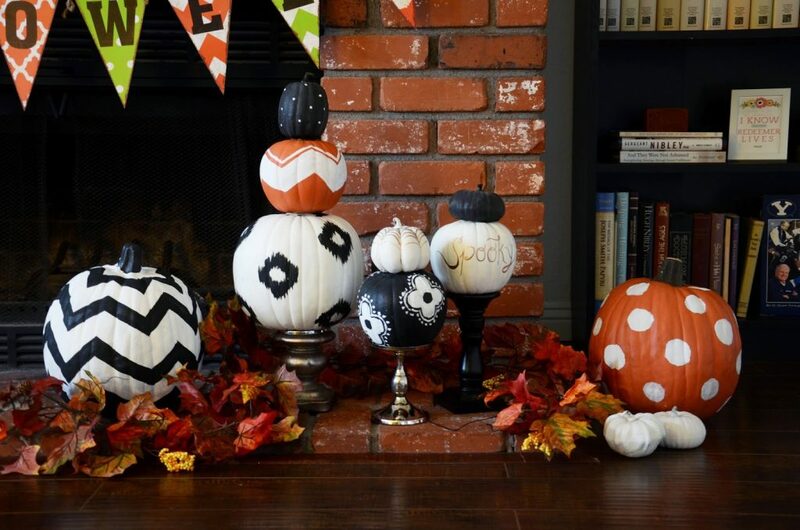 Once all your pumpkins are painted and dry, use glue to attach them all in a stack, then glue the entire stack to the pedestal. And you’re done! 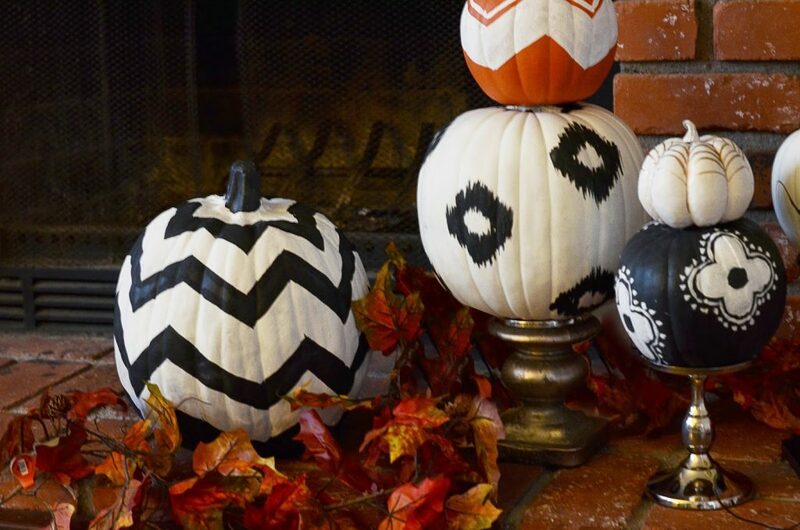 Those pumpkins are gorgeous! Love it!! Oh my goodness I love these! So pretty! Thanks for the inspiration! Super cute for Halloween! I love the pedestals. So cute! 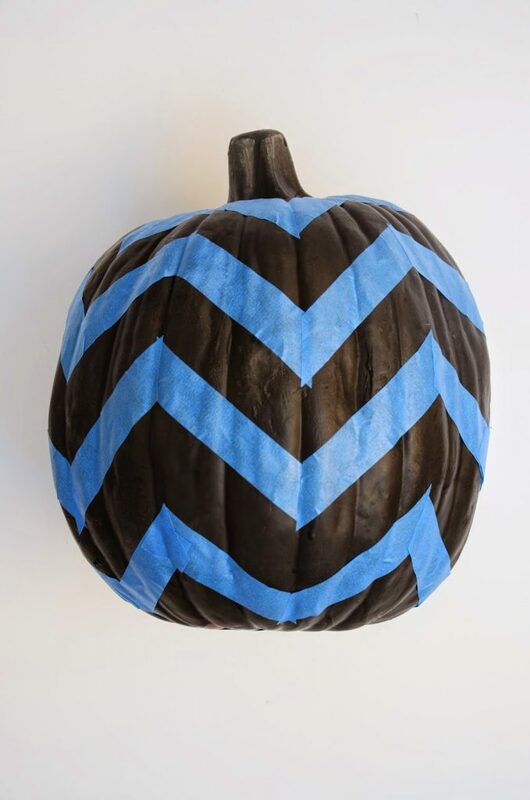 I love the white and gold ‘spooky’ pumpkin! These are seriously adorable! And honestly I have never seen this before, so very original. Always great stuff, Merrick!